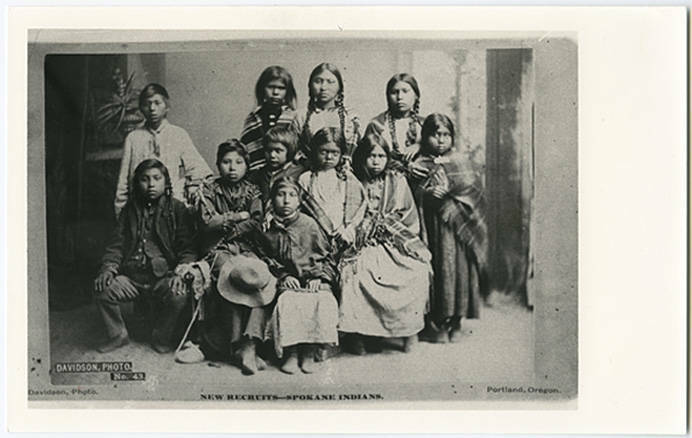 New students at the Forest Grove Indian Training School, posing as a group. The eleven children are dressed in traditional Native American clothing. See also: PUApic_008035.